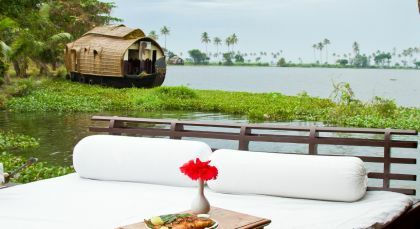 Discover the ancient healing practices of Kerala, the birthplace of traditional Ayurveda medicine. Experience this unique Indian Ayurveda tour if you are looking for time to unwind and rejuvenate in nature! 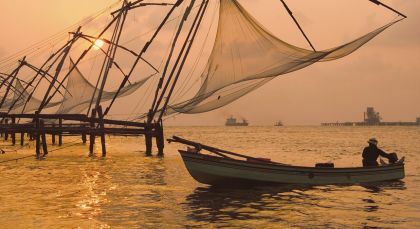 Kochi is an engaging city to explore, from the absorbing views of Fort Kochi harbor with its huge Chinese fishing nets to ancient mosques, Portuguese architecture and the crumbling remnants of the British Raj. Explore Mattancherry, where you can observe murals and antiquities at the Dutch Palace and Cemetery. Indulge your senses browsing traditional spice and antique markets. Encounter the fascinating 400 year old, fully-functioning Pardesi Synagogue in the Jewish quarter. Visit the original grave of Vasco da Gama in St. Francis Church, before his remains were returned to Portugal. Discover Hill Palace, the state’s largest archaeological museum, which is located in the regal and artistic suburbs of Tripunithura. Enjoy a traditional Kathakali dance performance, or the captivating display of Kalaripayattu, a 3,000 year old martial art form. 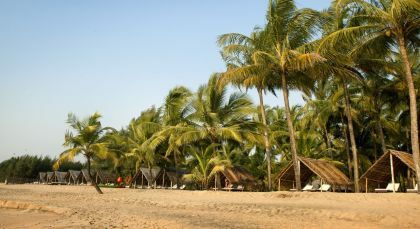 Nattika boasts a secluded sandy coastline and is a quiet reprieve from the madding crowds.